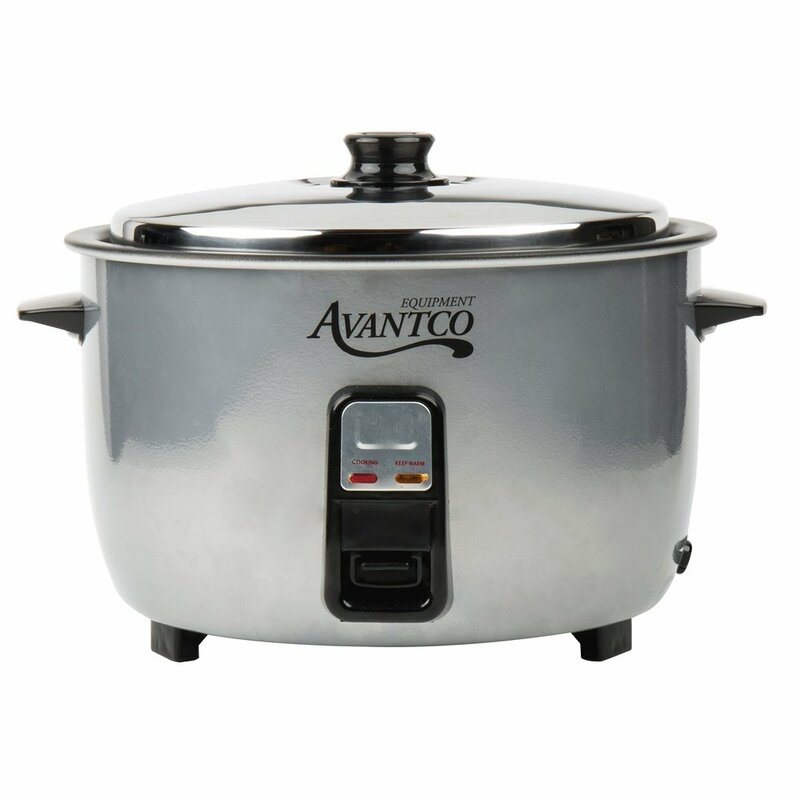 Cook up hearty portions of rice for your restaurant or bistro with this Avantco RC23161 46 cup (23 cup raw) electric rice cooker / warmer! 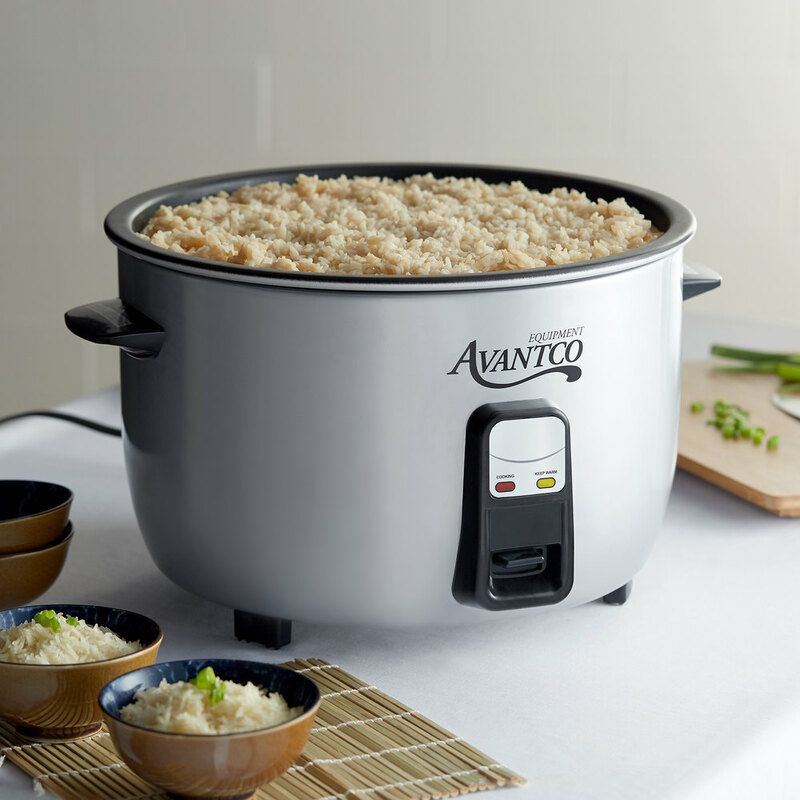 Capable of preparing up to 46 cups of cooked rice, this rice cooker is designed to meet the demands of your busy operation. Designed to automatically switch from cooking to warming mode once cooking is complete, this rice cooker not only ensures perfectly cooked rice without the guesswork, but it also keeps your rice warm and ready to serve! Featuring a stainless steel construction, this unit offers long-lasting durability and a sleek, professional appearance. 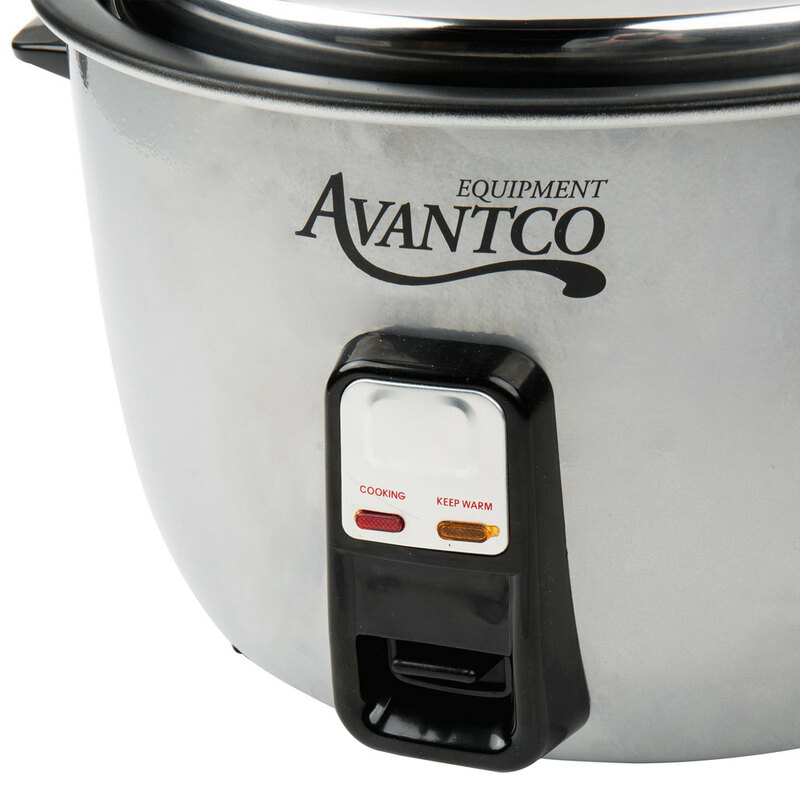 A removable, non-stick aluminum interior pot ensures your rice is evenly cooked and, at the same time, makes it easy to clean after a long, busy dinner service. 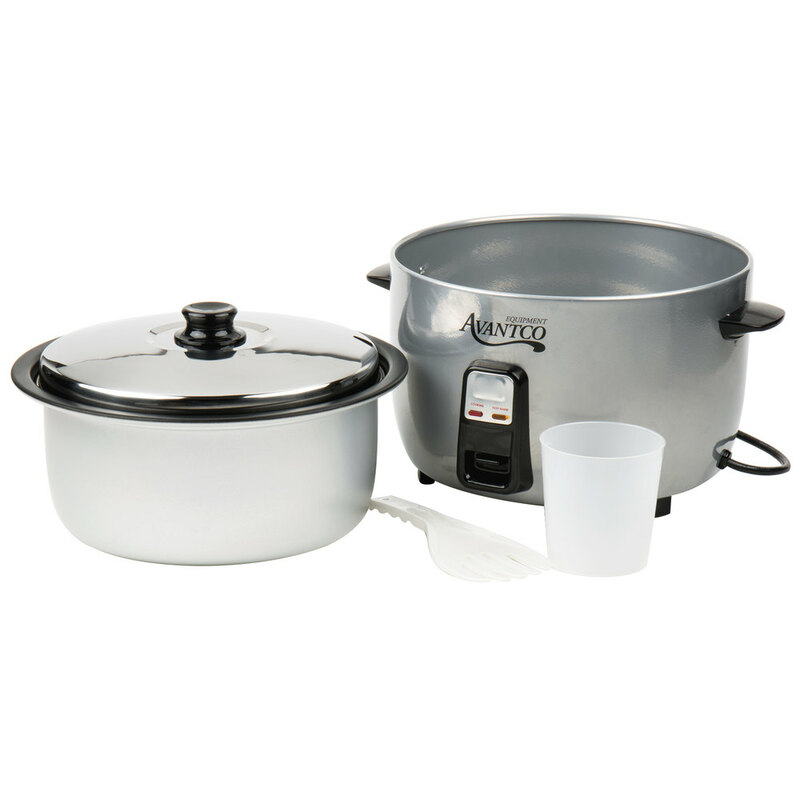 This rice cooker's two sturdy handles allow for easy portability from your kitchen to your buffet area, and its stainless steel lid is removable so guests can serve themselves without any trouble. The included clear measuring cup provides quick, accurate portioning of dry rice into the pot, and the rice paddle allows you to efficiently mix, scoop, and serve your rice while preserving its consistency. A 120V electrical connection is required for operation. This is perfect for us - we want to make batches of macaroni and cheese during the "cold months" at our ice cream shop and this allows us to do it all in one pot.